Property 6: Cozy and newly renovated apartment next to Triana. Property 15: Spacious 3 bedroom apartment in the center of Seville (Triana neighborhood, 1km from the Cathedral). Property 19: Lovely Flat in the Aljarafe Sevillano. Free Parking and pool. 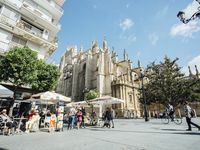 Property 25: Apartment in pedestrian street Asunción (100m from the Fair and 500 meters from the Plaza de España). 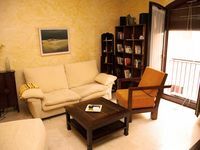 Property 48: Central apartment, near the Giralda and Seville Cathedral.